Modern best practices and code, simplified. Engage your audience using search engine optimization, social media, analtyics, writing, and marketing. Learn to write the code for marking up web page content. Use semantics, validation, and formatting tools to create clean, modern code for your project. Courses are developed by educators with real world experiences and refined over more than 15 years of live testing in classes. Enrolled students receive professional mentoring with messaging and live remote conferencing sessions. Interactive learning tools and real-world project applications enhance understanding and retention of knowledge. Pedagogy progresses from observation and comprehension of course material to synthesis and creation of new works. 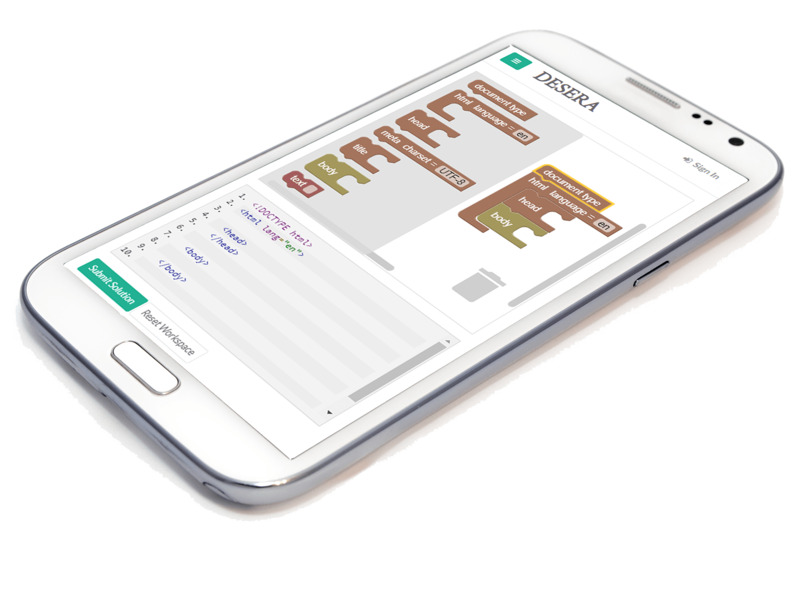 Desera implements Blockly, based on MIT scratch, to conceptually demonstrate how the building blocks of each couse subject fit together. Live coding exercises walk students through the steps of the real world development process. Interactive exercises, quizzes, and open-ended projects provide students with the opportunity to practice what they learned. David Kelleher is a freelance interactive media educator and producer. He founded desera.com, is an organizer for Northeast PHP, and presents talks on programming for video games, web development, and user experience at industry conferences throughout North America. David's personal media projects include Sky Canopy, an outdoor projected social video game incorporating pressure sensitive mats, and Electric Hustle, a juggling act wired to generate live electronic music. Current teaching interests include game development, website and mobile applications, interactive fiction and nonlinear video, advanced video effects using After Effects and Maya, and animation for new media. 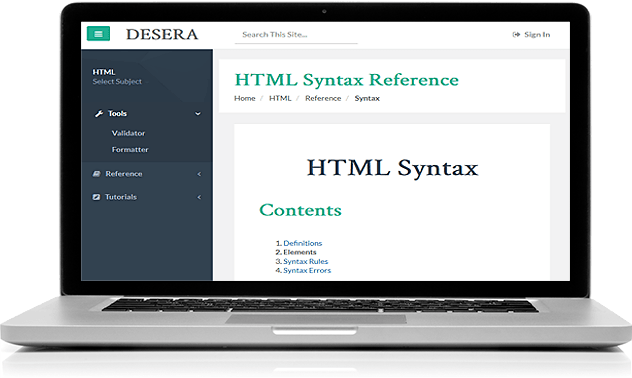 Basic access to tutorials and lessons for introductory courses are free for all students and eductaional institions. Discussion forums, the option to save your progress, and additional courses will be available for $25 per course. Recevie lifetime access to one new course each month. Professional mentoring available while enrolled.